Grassroots | Poudre Valley REA, Inc. It is important that legislators get to know Colorado's Electric Cooperatives, our members, and the issues that are important to co-ops and rural Colorado. At Poudre Valley REA we are committed to working with you, our members, on issues you care about. 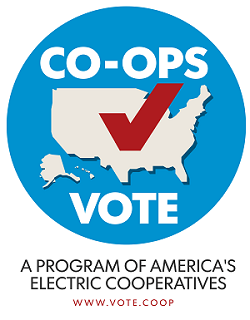 As co-ops, the civic virtue of voting is in our DNA. We show concern for community— one of the seven cooperative principles—through participation in our democracy. 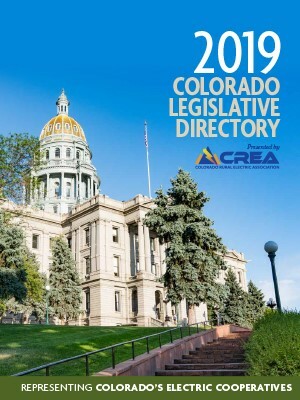 To help assure our members' voices are heard on this and other important issues, Poudre Valley REA has a Legislative Email Alert to keep you informed about regulations that may affect your electric bill. Sign up for the enewsletter below. It is important that your voice be heard on these and other issues as they are debated in the statehouse and Washington, D.C. Making your voice heard is more important than ever before. Sign up to receive action alerts by email. It takes less than a minute but can make all the difference. The Action Committee for Rural Electrification (ACRE) is the federal Political Action Committee (PAC) of electric cooperative members across the nation. ACRE contributions supports candidates for the U.S. House and Senate who will speak for and protect the interests of electric cooperatives and their members. Contact the Cooperative at 1-800-432-1012 or via email at pvrea@pvrea.coop to participate. Follow updates on the electric industry and learn about the issues we care about at the Co-op Action Network. Look up who represents you in the state of Colorado in the Colorado Legislative Directory. Hard copies are available at the Co-op's office.